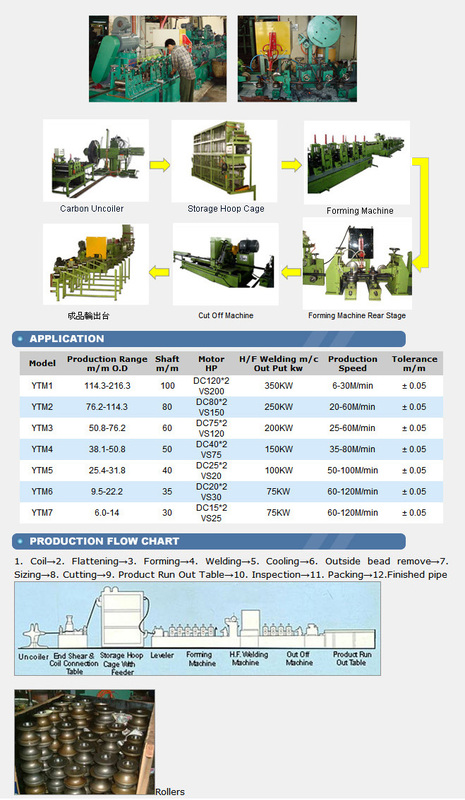 Carbon steel pipe whole-plant manufacturing equipment is used mainly for producing different sizes of carbon steel round pipe, square pipe, and rectangular pipe. Industry, construction, furniture, medical use, etc. The steel belt is first flattened out, and is processed through rollers to squeeze it to the desired pipe diameter. 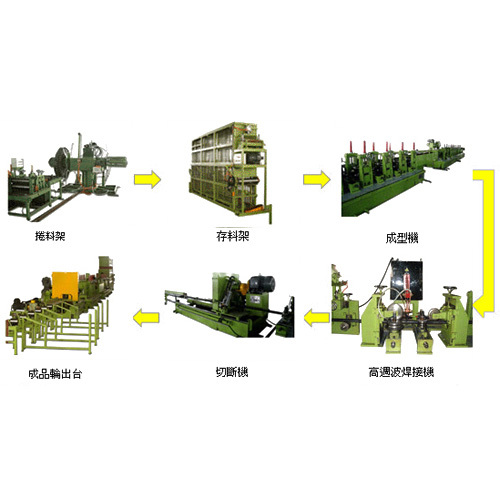 The machine then welds, straightens and cuts the pipe to the length set in the automated cut-off machine, and transports the finished pipe to the run out table, where quality inspection can be performed .